Election season is upon us once again, and with the avalanche of presidential campaign announcements, it can be hard to keep track of who’s running against Donald Trump in 2020. 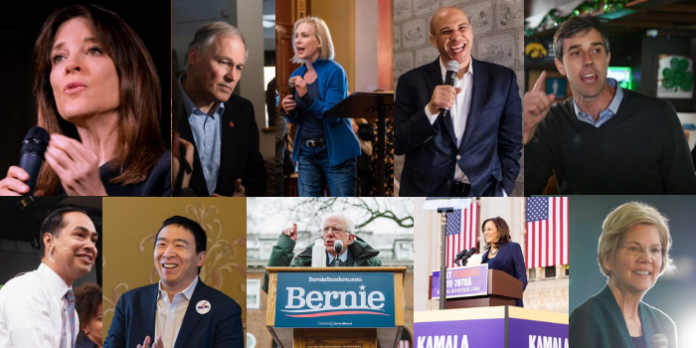 This quick guide to the 2020 Democratic presidential candidates will bring you up to speed on conversations happening around them. This list will be updated as more announcements occur. The TL;DR: Harris’ campaign, which launched in January, raised $1.5 million in the first 24 hours. Harris was met with criticism of her previous criminal justice voting record as San Francisco’s district attorney and California’s attorney general. She called herself a “progressive prosecutor” but her records were full of contradictions. Harris partially addressed some of these concerns when launching her presidential campaign in January, taking “full responsibility” but not providing any further details. Since then, Harris has come out in support of the abolition of the death penalty and applauded California’s governor, Gavin Newsom, for banning the death penalty in the state. With a biracial African American and South Asian heritage, she is one of two women of color in the presidential race and a front-runner candidate. The candidate recently proposed to expand the Supreme Court to 15 justices from the standard of nine, a concept called court packing. While he hasn’t revealed specifics about his other policies yet, he raised $600,000 in 24 hours after his CNN Town Hall, gaining mainstream traction. The TL;DR: Klobuchar was the first female senator of Minnesota and is infamously known for maltreating her staff. Buzzfeed and The New York Times exposed Klobuchar’s regular humiliation of her employees. While she has the highest staff turnover rate in the Senate, Klobuchar is still wildly popular amongst her Minnesotan constituents. She is not as progressive or left-leaning as some of her fellow presidential candidates. Born: April 27, 1969, in Washington, D.C. The TL;DR: Booker has been described as a liberal but shies away from taking on the progressive label. While socially liberal, Booker has close ties to big Pharma and Wall Street. Most recently, he has made headlines for his relationship with actress and activist Rosario Dawson. Booker is one of the few senators who still lives in the neighborhood that he grew up in and represents. The TL;DR: Deemed the “Me Too” senator, Gillibrand has been outspoken on sexual assault in the military and sexual harassment. She openly criticized her colleagues Bill Clinton and Al Franken for sexual misconduct and was the first to ask for Franken’s resignation. However, Gillibrand is currently under fire for how her office handled sexual assault claims. A former aide of Gillibrand resigned in protest of how Gillibrand’s office dealt with her sexual harassment claim, criticizing the senator for not abiding by her own public stances. Since her time in the House and Senate, Gillibrand has shifted more left in her policies. Whereas previously she had a 100 percent voting record with the National Rifle Association, Gillibrand now is “embarrassed” about that stance and supports gun control legislation. 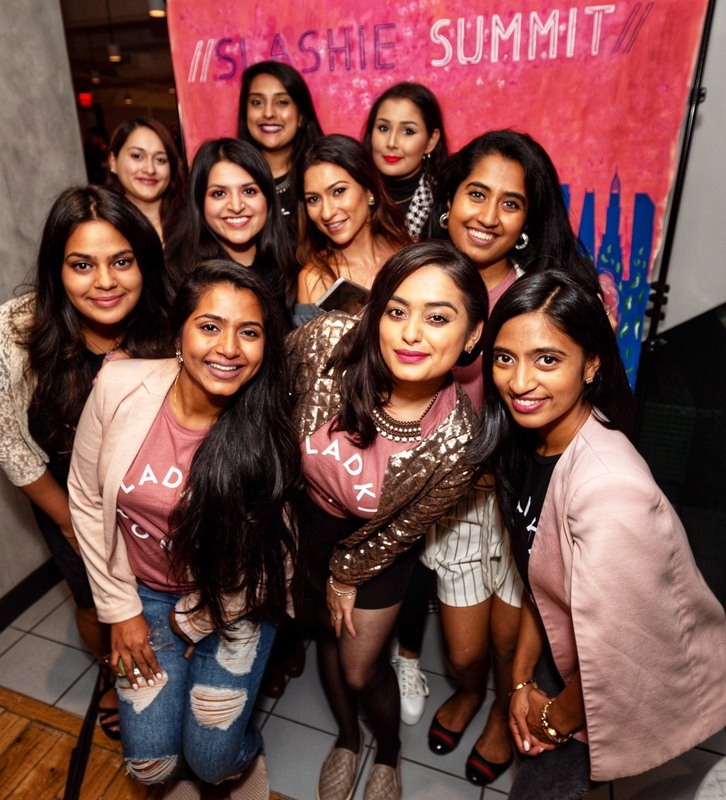 The TL;DR: Gabbard, the first Samoan and first Hindu member of Congress, attracted controversy since her campaign announcement. She has publicly apologized for her previous anti-LGBT rights stance and voting record. However, she has not explained her close ties to India’s BJP party and Prime Minister Narendra Modi, who have a history of being anti-Muslim, and her strong opposition to the removal of Syrian president Bashar Al-Assad. The TL;DR: In July 2017, Delaney was one of the first dominant Democrats to enter the presidential race. A self-made millionaire, he started campaigning in Iowa over a year ago and self-funded television ads in the state. Delaney doesn’t support Medicare for All, stating that Medicare works and doesn’t need to be reformed. He does want universal healthcare with the option to allow people to choose to buy insurance from a private market. As a congressman, he co-sponsored the DREAM Act and wants to provide a path to citizenship for undocumented immigrants. One of his top priorities as a presidential candidate is an investment in infrastructure. The TL;DR: Unlike in 2016, Sanders entered the presidential race as a frontrunner, raising $3.3 million in the first 24 hours of his campaign announcement. This time around, instead of facing an establishment politician, Sanders is facing candidates who have adopted a lot of the policies that he ran on in 2016. An outspoken progressive, Sanders was recently applauded for supporting freshman Congresswoman Ilhan Omar against establishment Democrats in the House. Sanders has also gone on record to call out Wall Street, big pharma and Amazon for not paying their employees enough. Sanders also drafted the Medicare for All bill, which is supported by many of his colleagues also running for the presidency. The TL;DR: Warren, the first female senator of Oklahoma and known for her outspoken nature, was the first major candidate to enter the 2020 race. A prime target for Donald Trump, Warren found herself in hot water when she claimed to have Native American heritage and took a DNA test to prove it after taunts from Trump. The Cherokee Nation released a statement saying, “Using a DNA test to lay claim to any connection to the Cherokee Nation of any tribal nation, even vaguely, is inappropriate and wrong.” Warren since apologized. Warren has centered her campaign around progressive policies. The TL;DR: O’Rourke first gained national attention when a NowThis video of his response to a question about NFL players kneeling during the anthem went viral. This added to his platform for the 2018 Senate race in Texas against Ted Cruz, which he lost by a mere 3 points. A race that close in a red state is a rarity. With support from celebrities like Oprah Winfrey, Beyonce, and Lebron James, O’Rourke also gained mainstream influence. However, his limited House record and policy vagueness in his speeches has attracted criticism. With his newly launched campaign, he has yet to declare his clear stances on most issues, including immigration. The TL;DR: The fourth Asian American presidential candidate in American history and an entrepreneur, Yang provides the most detailed policies on every issue, from immigration to making Puerto Rico a state, through his campaign website. He made waves with the unconventional policies his campaign is centered around, like universal basic income—a form of social security that ensures that every citizen receives a certain amount of money, without having to work or fill any other requirements. He also proposed to create a “White House psychologist corps” that would provide mental health services and screenings to administration staff. Yang has captivated the internet, thanks to his supporters who called themselves the “Yang Gang.” The “Yang Gang” plastered the Internet with memes, songs and music videos about his candidacy. While still a fringe candidate with minimal support from Democrats, Yang’s virality has made him a recognized candidate on the Internet. The TL;DR: Hickenlooper opposed the medicinal use and decriminalization of possession of marijuana in Denver in 2006. In 2015, he stated that the addition of Amendment 64, which legalized the recreational use of one ounce of cannabis, was “reckless” on the part of the voters, but he has since stated that his views have evolved. Hickenlooper is running as a centrist, defining himself as a “beacon of optimism” in a Trump America. The TL;DR: Called the “greenest governor in the country,” Governor Inslee is centering his presidential campaign around combating climate change through economy, innovations and creating clean energy jobs in the country. The TL;DR: Castro is the only Latino running in 2020 so far. Trailing behind in donations, Castro recognizes that he’s not a frontrunner but refers back to the story of his childhood: Despite coming from a poor financial background, being raised by his mother and grandmother, he succeeded. Encouraging his supporters to donate just $1 to the campaign, Castro believes he can surge closer to the top. Castro first got national attention after delivering the keynote speech at the Democratic National Convention in 2012. He is left-leaning in his policies so far but has not provided many details yet. The TL;DR: Williamson is a motivational speaker and self-help author who has advised Oprah Winfrey since the ’90s. Williamson believes many of the country’s issues can be traced back to slavery, thus believing there is a need for reparations. 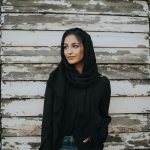 Hera is a Bollywood encyclopedia, coffee obsessed Yelp Eliter, and sometimes writer, who is currently living in DC, pursuing a Master’s in public health.